10.00am-12 noon Saturday 11 May PowerPoint – A hands-on session for beginners on using PowerPoint in worship. Bring your own laptop. 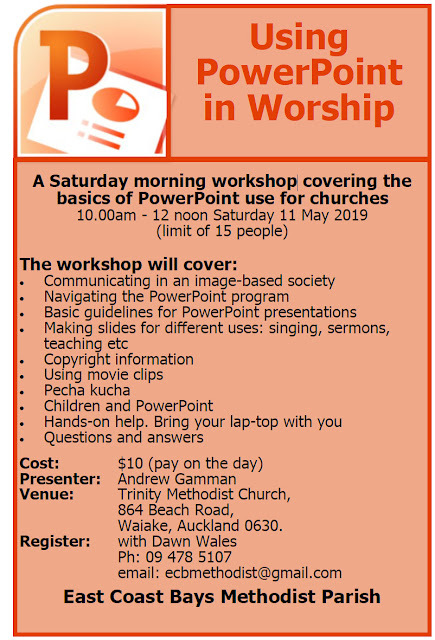 10.30am-12 noon Saturday 18 May Public Speaking – Tips to improve your public speaking and microphone use for Bible readers and those who may be asked to speak occasionally at their work or club.